We are often asked this question by travelers looking to book a vacation in Jamaica. What is the difference between a villa and a resort or hotel? 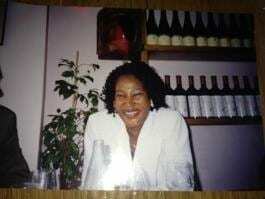 So I find it necessary to write and outline why as well as using the testimonial of a former guests. 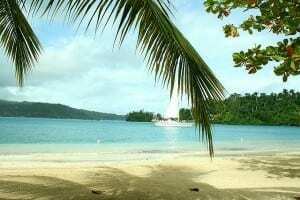 There are many chain hotels / resorts looking like a string of windowed boxes on the beach with very they little charm, almost no vegetation and very little connection to Jamaican culture. Resorts/ hotels housekeepers have an average of 25 -50 rooms to clean each day and If you need a butler you need to pay extra and Personal chef, or forget about it. Staying in a Resort/ hotel and need to go off site to explore and experience the Island and its many attractions, you’ll need to pay extra for transportation. Purchase an off site activity from the front desk, the cost is significantly higher than you would pay if you did the booking yourself online or at the excursion. Renting a villa for your vacation rental provides a unique experience you can’t get at any resort or hotels. You’ve the freedom to travel, explore and truly experience the Island’s charm and create memories that will last for a life time. You won’t have to fight to get a lounge chair by the pool, a seat at the bar , wait your turn for buffet line , restaurants, watch the same show everyone else is. Villas provide personalize service, with personal chauffeur who will act as your tour guide, providing you with local insight, information and ensure that you get the best rates on all your activities. Your staff is dedicated to ensuring that each guest has a positive and memorable experience. There are very few villas in Jamaica that offer their guest complimentary transportation throughout their stay. 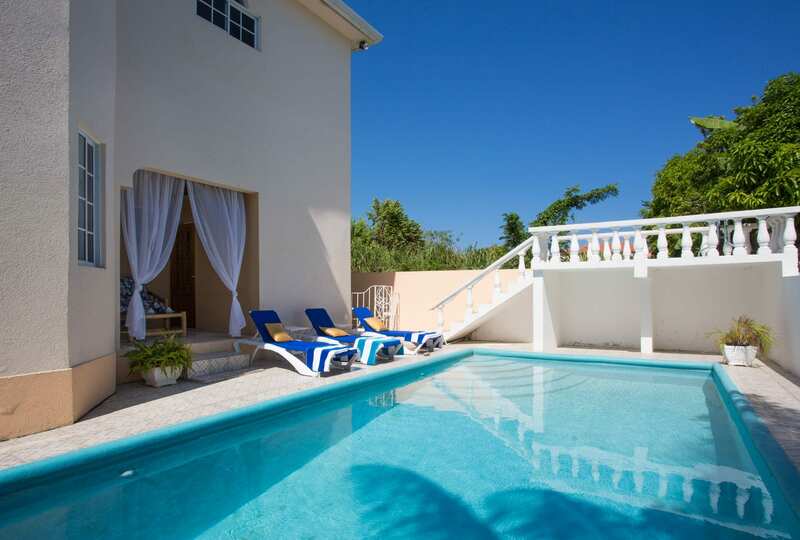 You’ll receive a dedicated team of staff when you rent our villa in Ocho Rios Jamaica. All of this at no additional cost to you! The villa is 8000 sq. ft, luxurious 1500 count Egyptian cottons, custom local made furnishing, accessories are a mixtures of Local arts and ….. where both worlds meet to create the perfect ambiance for creating memories that is guarnatee to last for a life time. See what others are saying about their villa rental experience. “We were very impressed the housekeeping duties performed by Irma, she was a Dynamo, always on the go and always there when we needed her. The meals prepared by Jason were incredible and he was always smiling and a great conversationalist.presented a lovely disposition. Brian was always there, with a ready smile and a quick song and kept the outside clean and beautiful for our use. 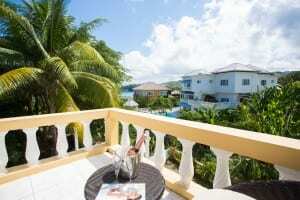 Located just 2 miles East of the resort town of Ocho Rios, this villa with views of the Caribbean Sea and Rio Nueo Bay. The sea is in sight from the pool and balconies . The villa is surrounded by beautiful flowers and palm trees. The sweet scent of ocean air infuses your walk down sandstone path to the water; the Historic Private Residents beach, as well as the Battle Site Museum Park and 5 minutes drive to the main attractions in Ocho Rios. For a Limited time we are Providing all our guest the Free Chauffeur experience. Providing a dynamic, passionate and experience! Your site General manager will visit the villa the day of your arrival and one or twice depending on the length of your stay. Need to consult with the General manager; all guests are given a cell phone programmed with the general managers number just in case you need her. 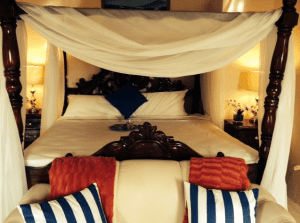 Stop Gawking at those Luxurious Vacation Home on the internet, Explore Jamaica vacation Home Rental and contact us for accommodations on beautiful Island, of Jamaica. Like this post? Feel free to share by pressing the social media links below!